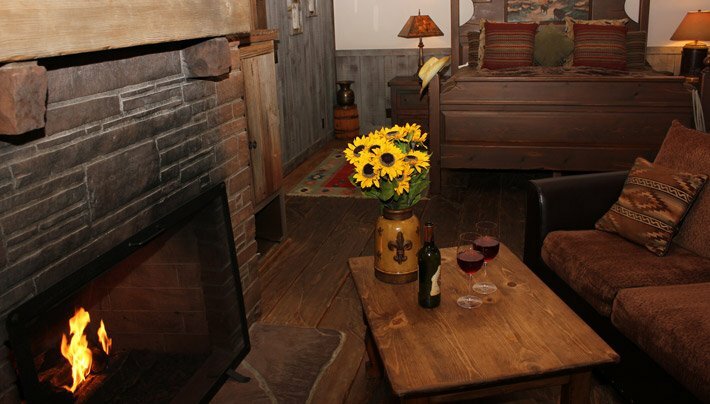 Kick off your spurs and enjoy the romance of the old west in the Lonesome Dove Villa with its wood plank floors, high ceiling, western décor including saddle and lariat and floor to ceiling red rock seasonal fireplace. Arrive to the aroma of fresh baked bread baking in your room. 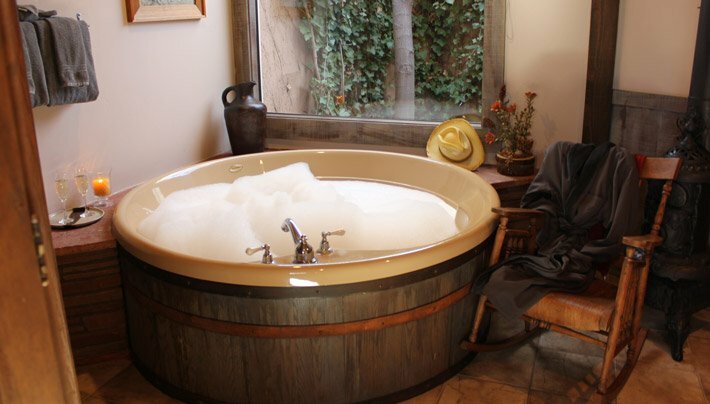 Walk through the saloon door to the large bathroom with a huge 6 person jetted wine barrel style tub. This is a ground floor private villa with private entrance away from the main building. Maximum occupancy in this room is a total of 2 people (2 Adults Or 1 Adult and one Child/Infant). Regular Price: $349 – $359. Click "Book Now" to Low Season and Last Minute Rates.